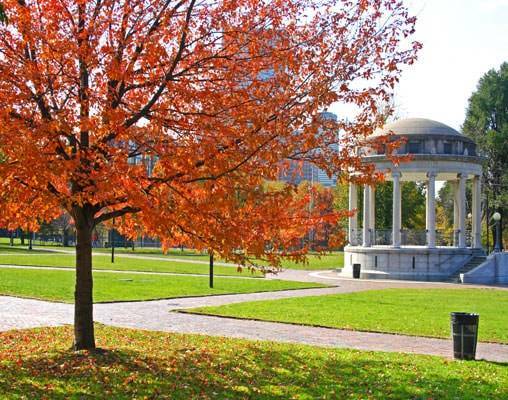 Experience the warm palette of colors only offered by the gorgeous fall foliage of New England on this daylight-only tour. 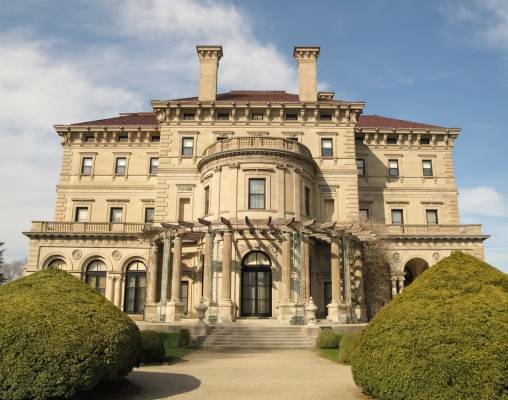 All six of the New England states await on this 8-day road and rail journey. We kick off our tour in Boston, where you have the opportunity to meet your fellow travelers, sightsee and shop before we board our motorcoach for transport to Kennebunkport, ME. 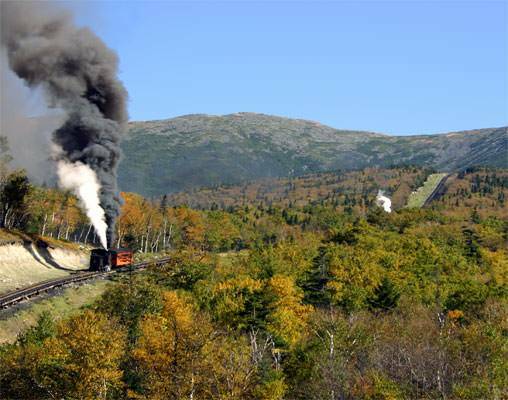 From the coastline to the vast range of colors in White Mountain National Forest, this day of travel aboard the Mt. Washington Cog Railway is sure to excite. 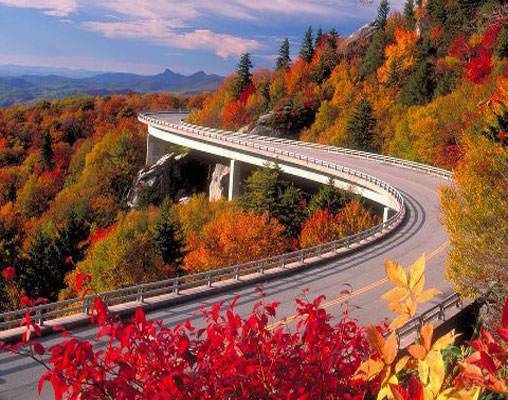 Enjoy an overnight in the North Conway area of New Hampshire, then we travel over the Crawford Notch, across the Connecticut River and into the picturesque state of Vermont - a place where rural simplicity meets the beauty of autumn. 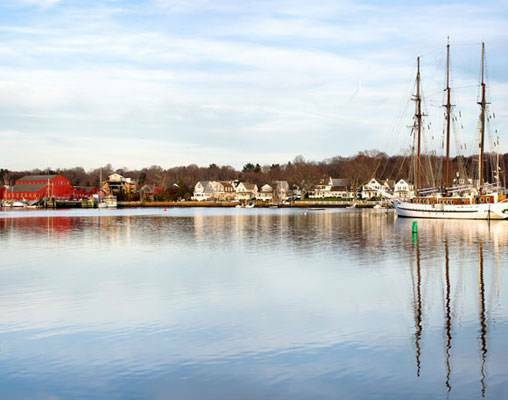 Traveling through and making stops for touring in some of the most scenic locations for viewing fall foliage, including Stowe, Mystic Seaport and Newport, our journey reaches the beautiful Eastern Seaboard. 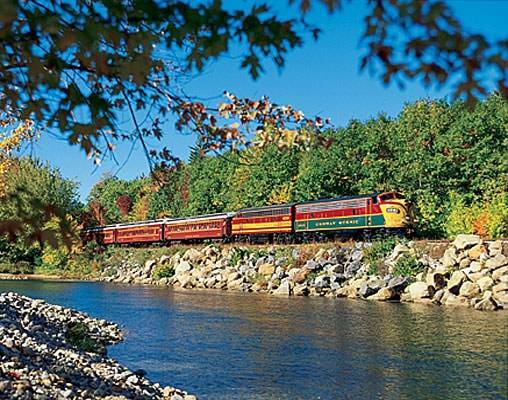 Enjoy some traditional Cape Cod fare and entertainment - the Cape Cod Central Railroad - before arriving back in Boston. After one last night of comfortable hotel accommodation, this memorable tour through New England's autumn kaleidoscope comes to a close. 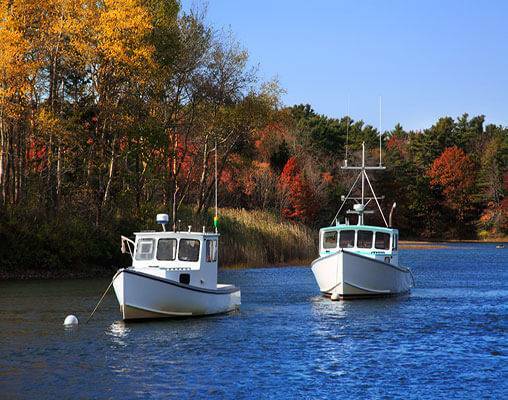 Click here to view testimonials for New England’s Fall Foliage Express. I enjoyed every aspect of the trip. The hotels were all quite unique in their own settings. It was a great trip! Enter your details below if you would like to be notified when 2020 dates and prices are available for New England’s Fall Foliage Express. Prices are correct at the time of publication, however are subject to change at time of booking. NOTE: Prices are land-only, per person based on double occupancy. CB = Continental Breakfast, B = Breakfast, L = Lunch, D = Dinner, R = Reception. Triple rates available upon request.